Split-sole design hugs the arch enhancing the line and giving ultimate flexibility. 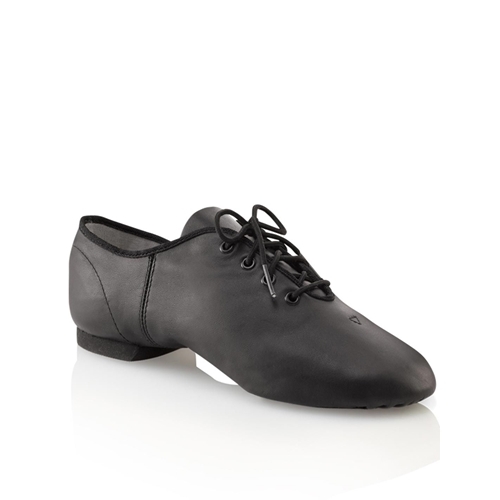 Leather upper is lightweight and flexible with a soft hand and a rich appearance. EVA sole and heel are engineered to provide traction without inhibiting turns. Suede leather sockling is designed for maximum flexibility and control while the cotton lining absorbs perspiration. Available in sizes 3-14 adult in medium width in black.